When super heros come to mind, there is no doubt that our kids (and let’s face it, ourselves) can never get too much of Batman. Oh come on, like you haven't ever looked at yourself in the mirror and spoke the famous quote, "I'm Batman" before... It can't just be me! 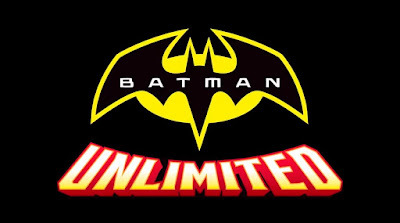 Just in time for the long winter break, DC Kids has released the animated Batman Unlimited series where Batman and his crime fighting squad battle it out against the cyber robotic animals to keep Gotham City safe. The DC Kids YouTube channel makes it easy for our kids to watch their favorite DC characters, on-demand, and from any device. For even more fun, there is an extended online experience on the website DCKids.com where kids can play games, download free printable activities, read comic books, and more. DC Kids is giving away $100 for Amazon (perfect for the holidays) which makes it a great time to check it all out. I would just love for one of you to win this giveaway! So check out the video and GOOD LUCK!